"Conducted by Sir Colin Davis, the score is interpreted splendidly." (The New York Times) Gwyneth Jones bravely tackles the roles of both Elisabeth and Venus with glorious tone and splendid stage presence. 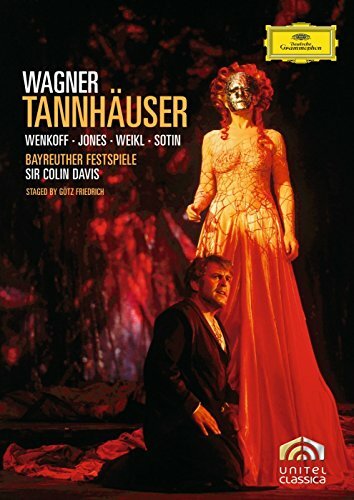 This 1978 production from Bayreuth was directed by Götz Friedrich, and includes choreography by John Neumeier with stage designs by Jürgen Rose. The controversial production shocked many opera patrons while ushering in a new age of Wagner interpretation.